If you’re tired of dealing with frizzy and unmanageable hair, it may be time to treat yourself to a keratin treatment. This hair treatment has been around for many years, but recent advancements have made them more popular than ever before. • Provides up to five months (150 days!) of smooth, frizz-free hair. • Helps repair damage with the powerful benefits of keratin. • Dramatically cuts daily styling time at home. • Delivers radiant, healthy looking shine. • Promotes vibrant, long-lasting hair color results. 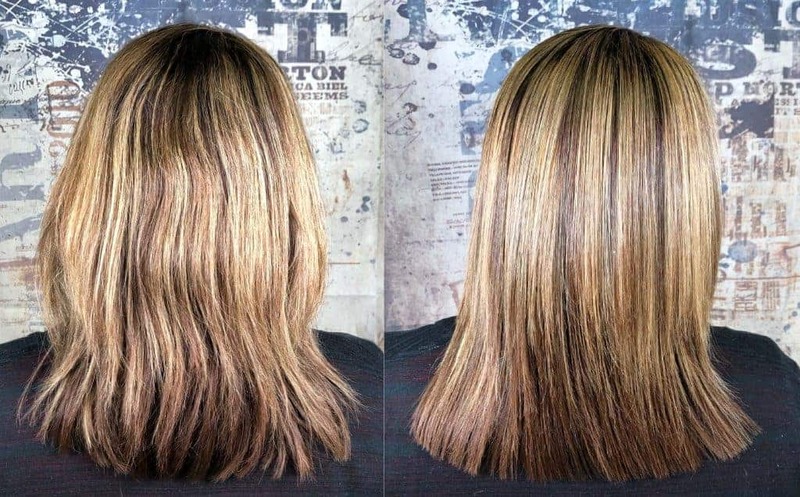 Specifically, a keratin treatment is a procedure performed by your stylist in the comfort of our salon. During your treatment, a stylist applies a keratin-based product to your hair from the ends to the roots. Then, a flat iron is used to seal the keratin into the shaft of the hair, resulting in silkier, smoother, and more manageable hair with results lasting up to several months! The entire process of getting a keratin treatment usually takes about three hours, though this can vary depending on the length, thickness, and other qualities of your natural hair. Once your keratin treatment is completed, your hair stylist will likely advise you to avoid washing your hair 72 hours. This is an important part of allowing the keratin proteins to become fully absorbed and sealed into your hair, so make sure you follow your stylist’s recommendations closely. Following your treatment, you’ll also want to make the switch to the recommended shampoo and conditioner (Keratin Care Shampoo and Conditioner by Keratin Complex), as this will help to prolong the results of your treatment for as long as possible. Keratin is a protein that’s naturally found in your hair; it’s what helps your hair grow long, strong, and smooth. When a keratin treatment is performed, keratin proteins are sealed into your hair through the use of heat, resulting in smoother and easier-to-style hair. 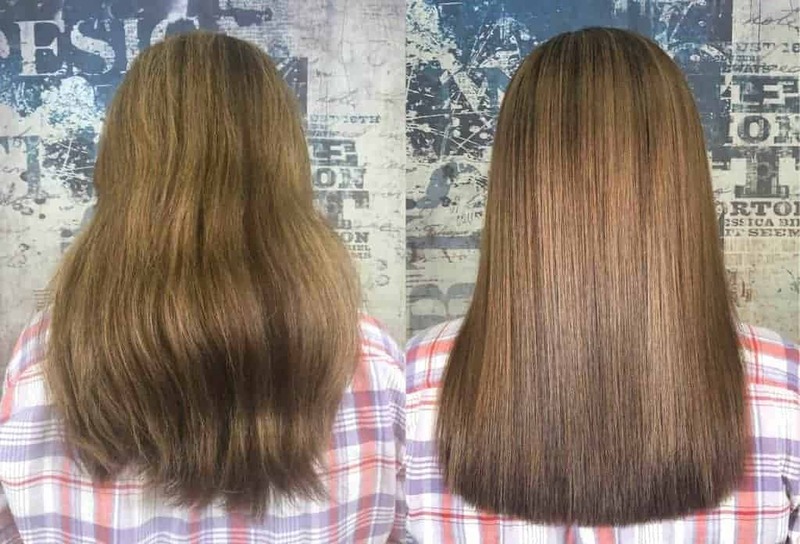 Over time after your treatment, the keratin levels in your hair will naturally fade-but it’s not uncommon for the smoothing results to last for months before another treatment is required. There are many benefits of having a keratin treatment done, starting with the simple fact that it makes your hair smoother and silkier. This makes keratin treatments a great option for those who struggle with dried out, frizzy, and rebellious hair. You’ll find that it’s much easier and less time-consuming to style your hair following a keratin treatment. In fact, many people report that this treatment can reduce the amount of time to takes to blow-dry hair by about half. Imagine the amount of time you could save in your morning routine! After you have a keratin treatment, you also no longer have to worry about humidity or even rain affecting your hair style. The keratin proteins sealed into your hair will keep each strand smooth and frizz-free regardless of humidity levels, so you could save money on frizz-control serums and similar products. 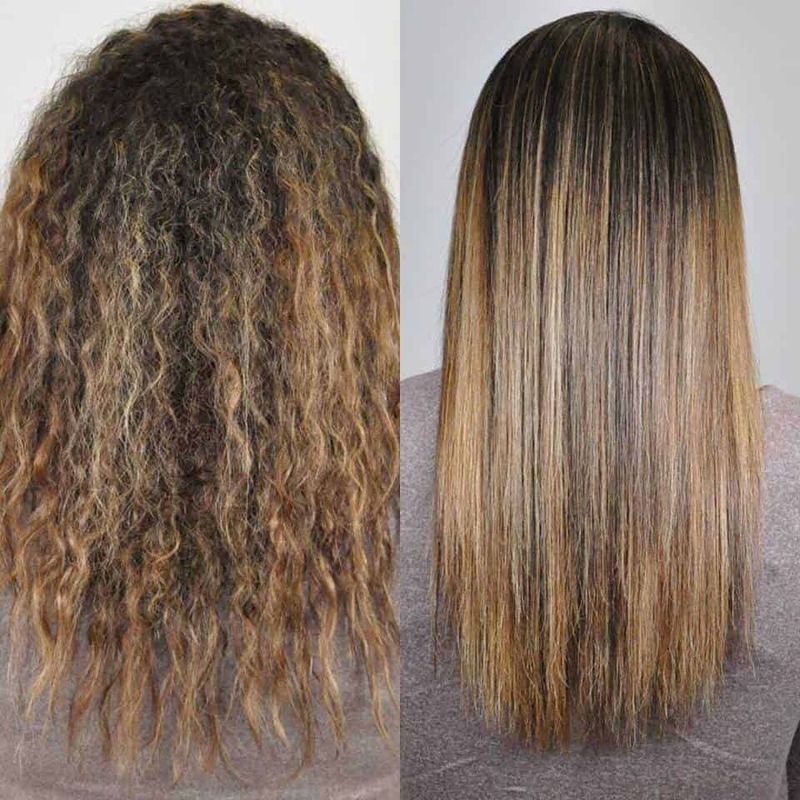 If you have naturally curly or wavy hair, a keratin treatment for curly hair will also allow your hair to be blow-dried straight and smooth, making this a wonderful option for those who want to change up their style. No longer will you have to struggle with hair-straightening products and damaging flat irons to achieve the straight, smooth hair you desire! 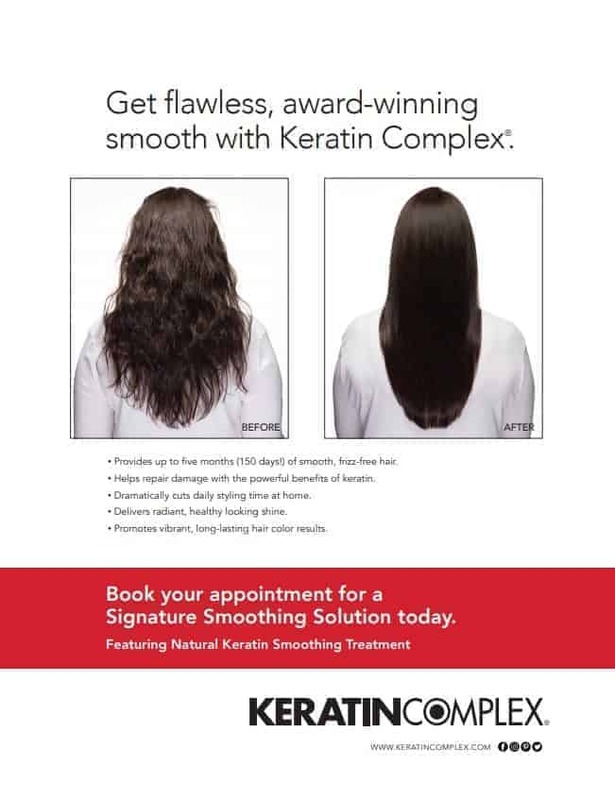 The Natural Keratin Smoothing Treatment can help eliminate up to 95% of your natural curl. Who Should Consider a Keratin Treatment? 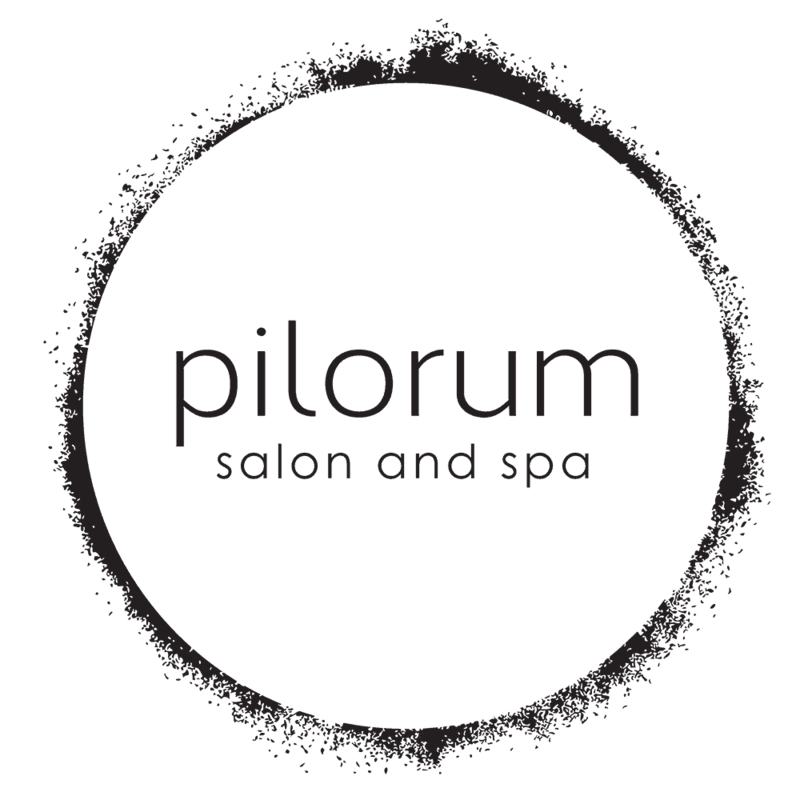 There are many Keratin Treatment Products in the market today and Pilorum Salon in Niles has chosen Keratin Complex products. Though extensive research and after testing a majority of the products available on the market, we have found Keratin Complex to be the highest quality. Keratin Complex lasts the longest and offers more consistency over the duration of the product life. Express Blow Out Keratin Treatment: This smoothing treatment can last up to six weeks and the cost of service starts at $150. Often times, keratin treatments and Brazilian blowout treatments are confused, or the terms are used interchangeably. However, it’s important to realize that these are actually two very different hair treatments, so knowing the differences between the two will help you better decide which is right for you. While both treatments are meant to smooth out and relax the hair, and both treatments take approximately the same amount of time, that’s where the similarities between them end. With a Brazilian blowout treatment, different types of amino acids (not keratin) are sealed into the hair using heat from a blow dryer and flat iron. Unlike with a keratin treatment, however, the product is washed and rinsed out of the hair at the end of the appointment. With a keratin treatment, on the other hand, it is important to wait up to three days to wash your hair to ensure best results. The results of both treatments usually last two to three months, though this can vary depending on how quickly your hair grows back. While both keratin treatments and Brazilian blowouts can be great options for those who want to achieve smoother and more beautiful hair, some hair types are better suited for one treatment over the other. For example, those who are focused on achieving straighter hair (such as those with naturally curly or wavy hair) will benefit more from a keratin treatment, since this treatment also focuses on straightening the hair. On the other hand, those who want to keep more of their hair’s natural style (curly, wavy, etc.) while maintaining volume and reducing frizz may be better suited for a Brazilian blowout. Ultimately, it just depends on the types of results you desire. If your daily hair routine has you feeling down, a keratin hair treatment could be a great solution to achieve easier-to-style, smoother, and silkier hair in just one treatment session. Enjoy the time-saving benefits and added confidence a keratin hair treatment can bring you! 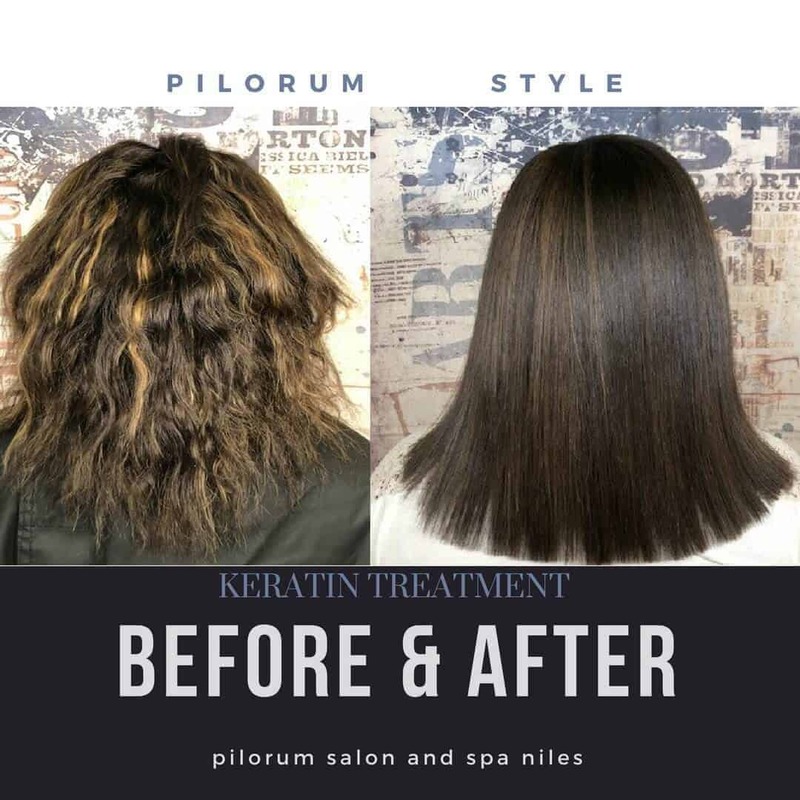 To find out more about our keratin treatment offerings or to schedule your appointment, contact Pilorum Salon in Niles today.